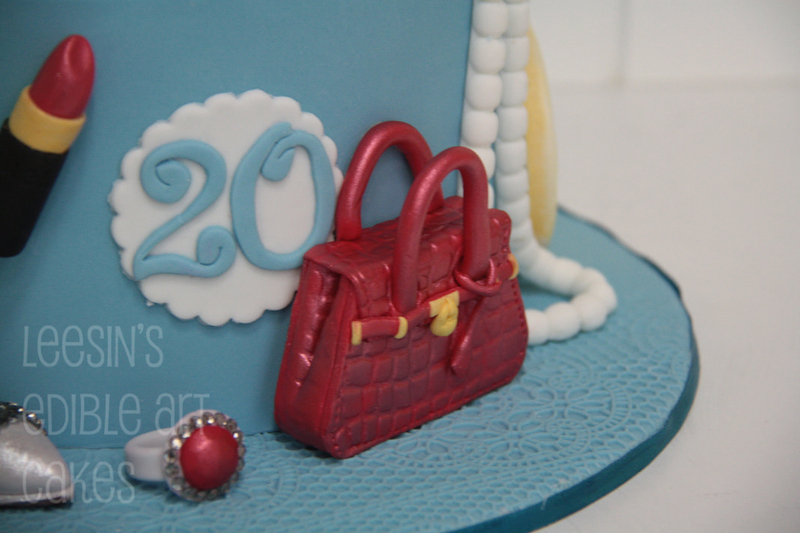 This is the simplest cake I have made ever!!! 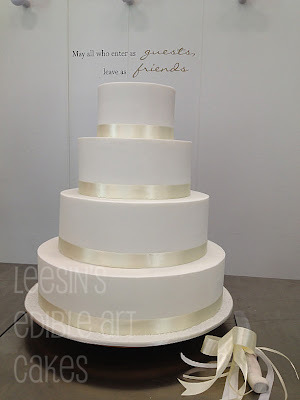 No sugar flowers, no textures, no laces, no color!! 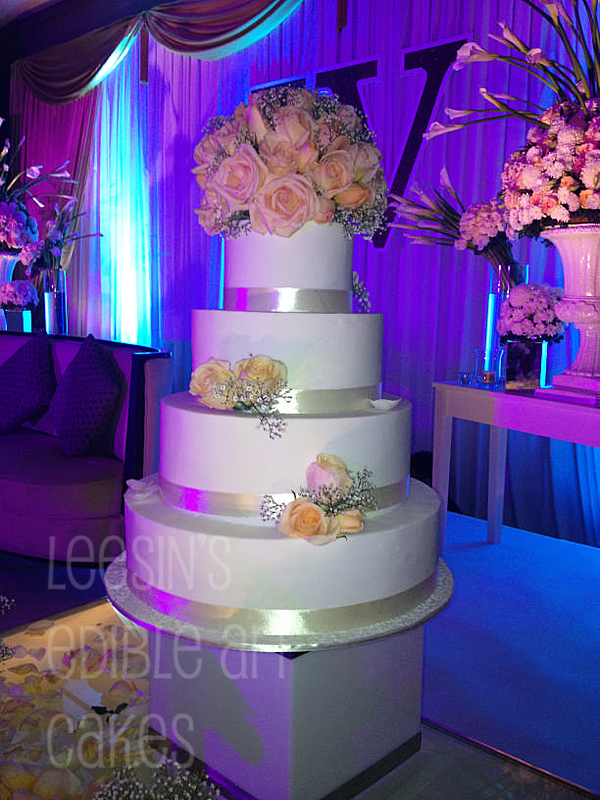 The bride just wanted fresh roses on the cake....and ivory colored ribbons. 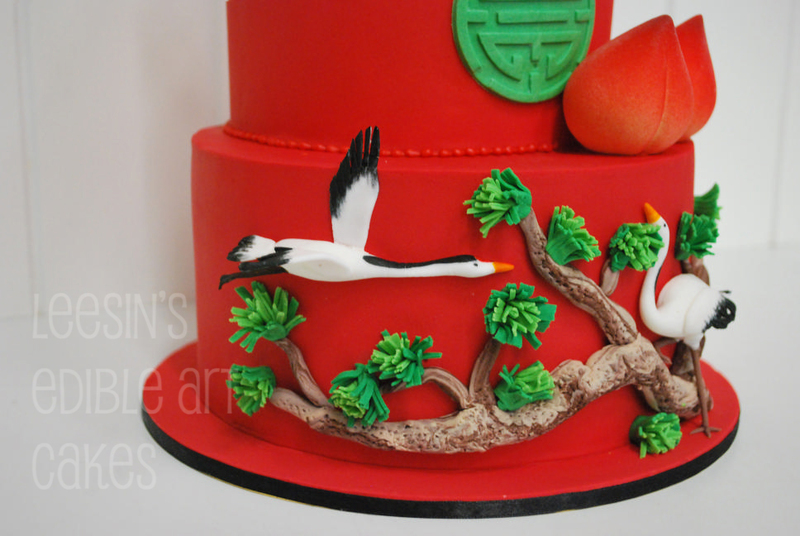 Turns out beautifully. 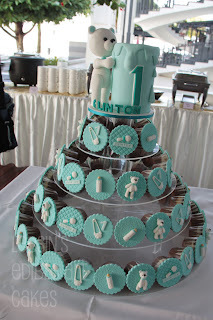 Agree?? 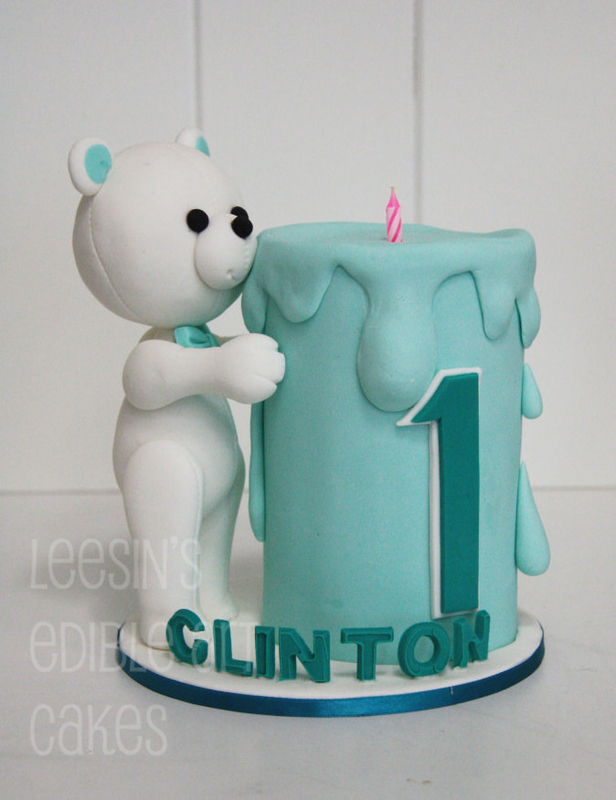 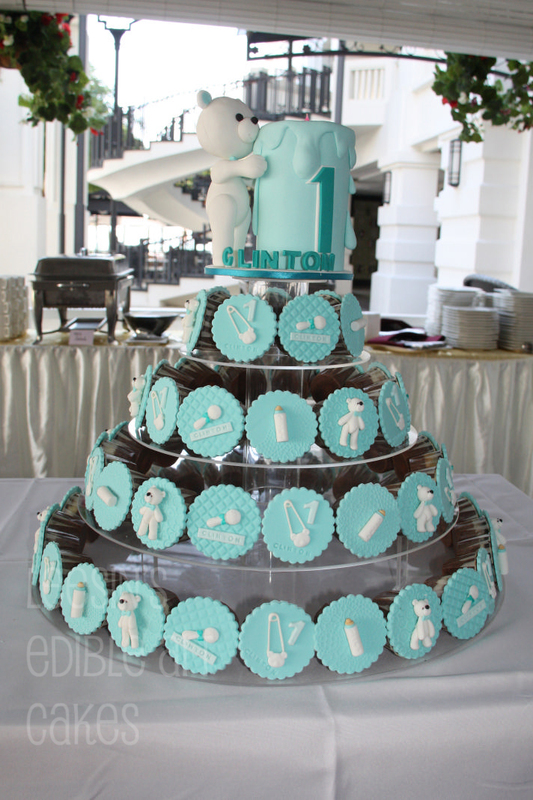 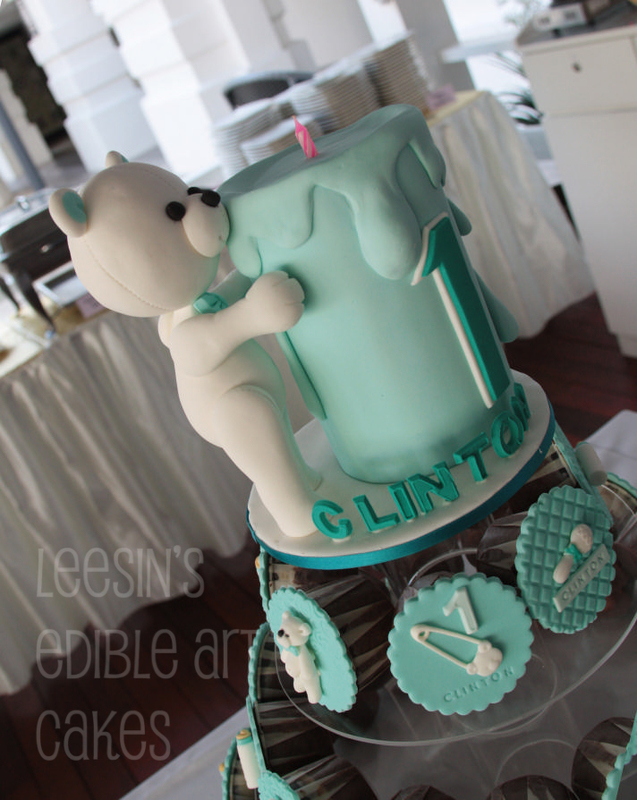 Tiffany blue for Baby Clinton!!! Is this cake very Chinese or is it very Chinese??? Hahahaha. It was commissioned for an 80th birthday. 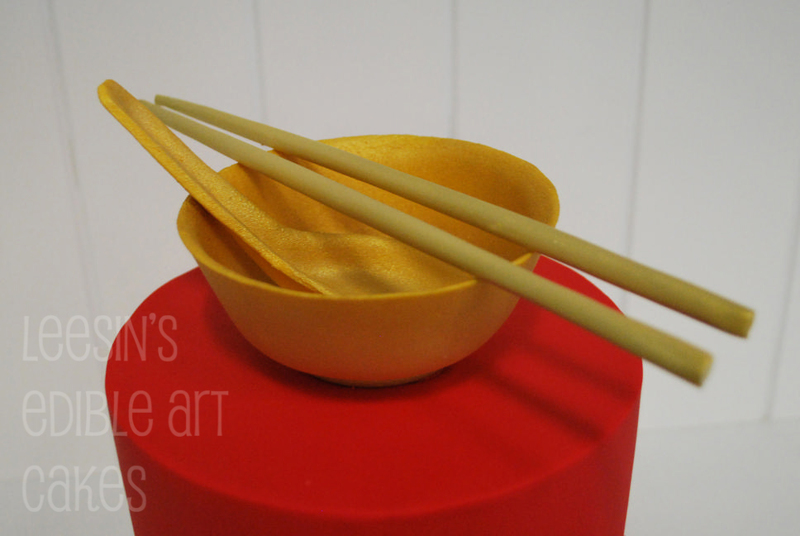 I have always wanted to make a very bright and eye catching cake....since the customer's main criteria is the bowl I decide to go Chinese all the way. 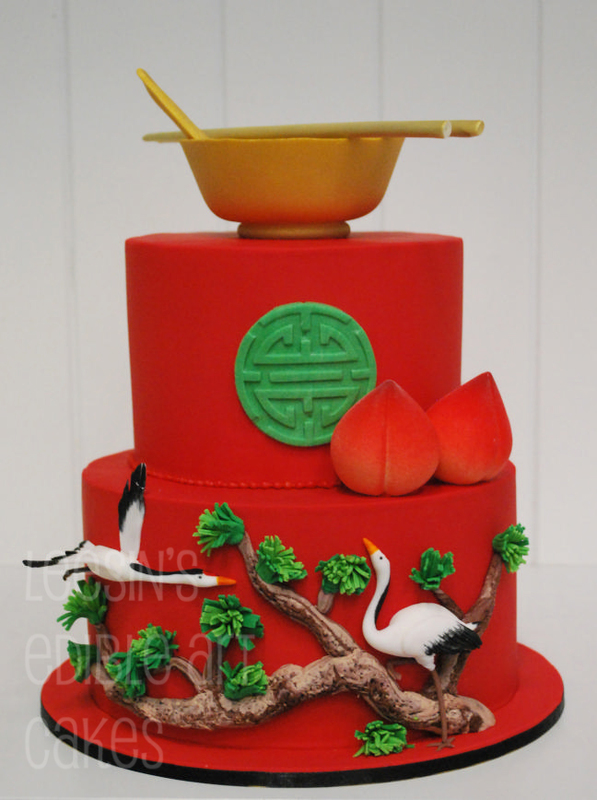 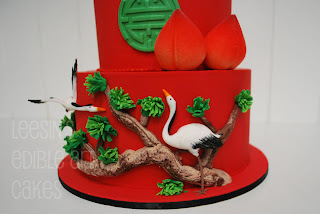 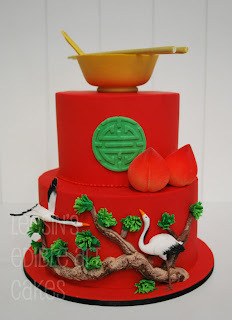 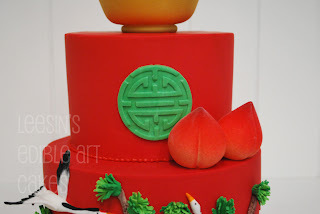 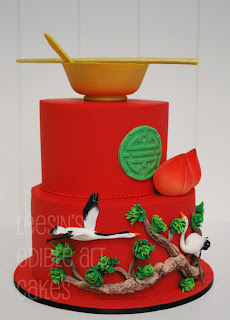 Red cake, green jade, prosperity symbol, peaches, cranes and that oh-so-Oriental pine tree branches. This cake is commissioned by a young man for his girlfriend (of coz)...over SMSes. 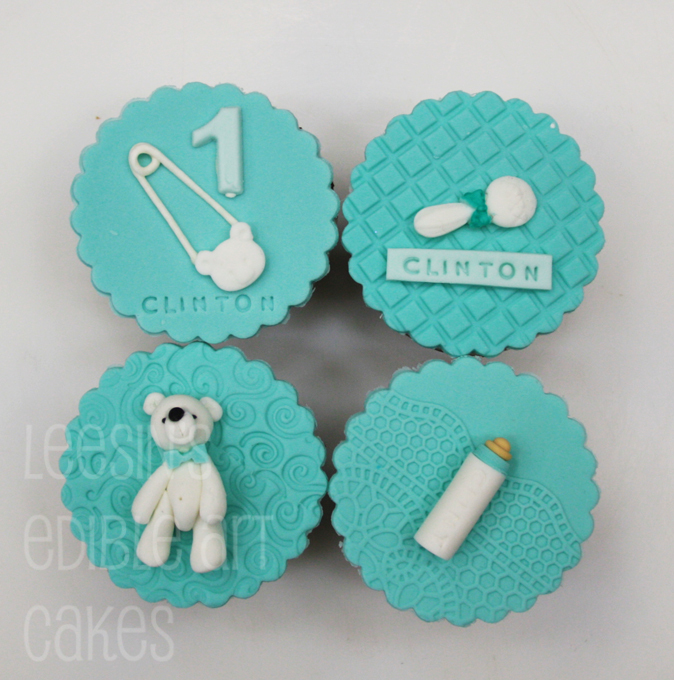 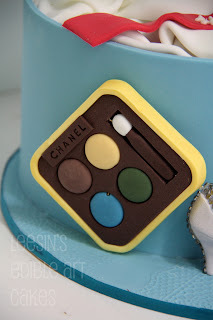 All accessories are edible. 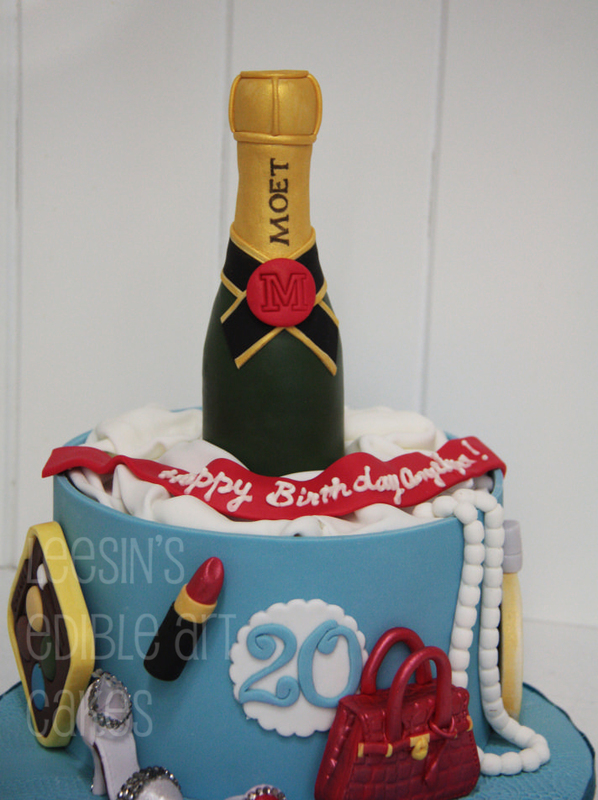 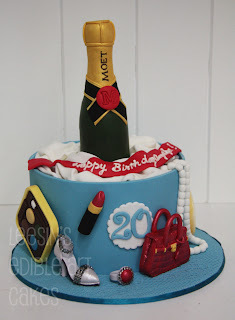 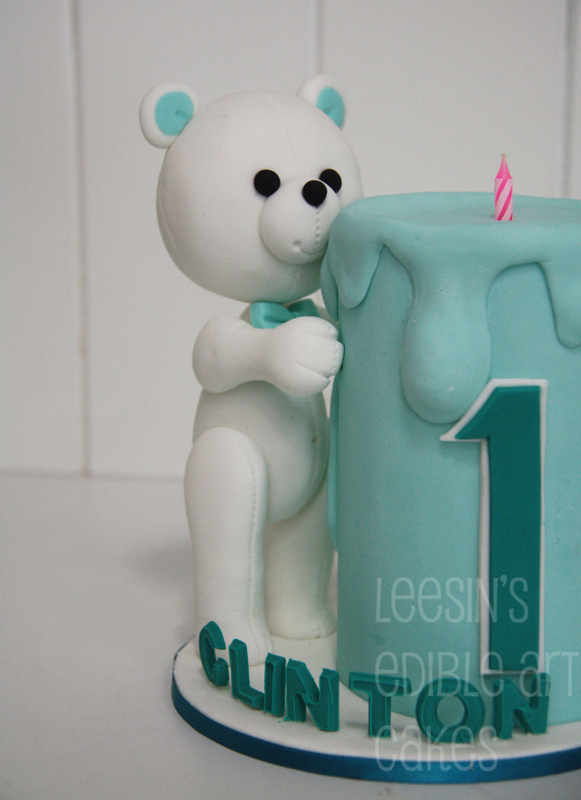 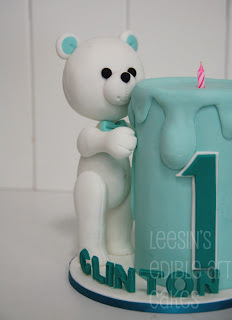 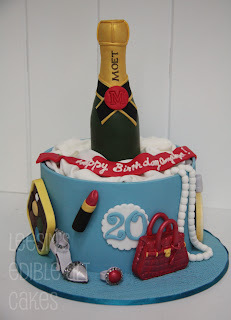 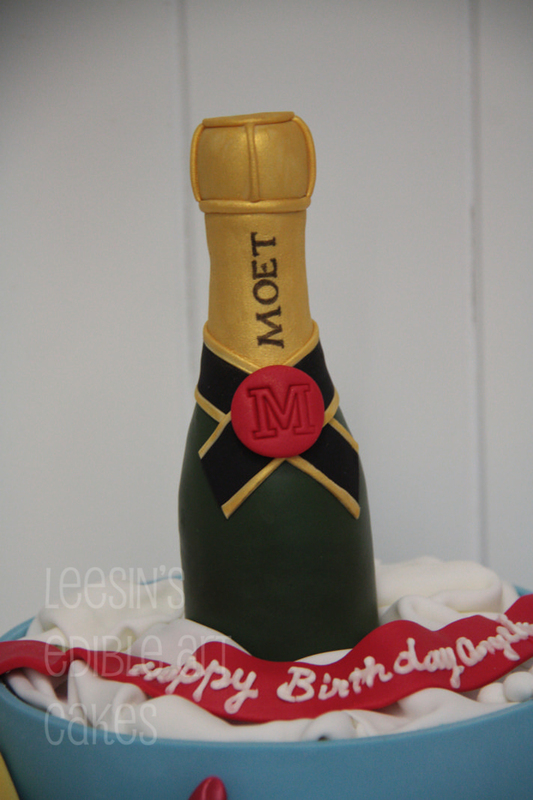 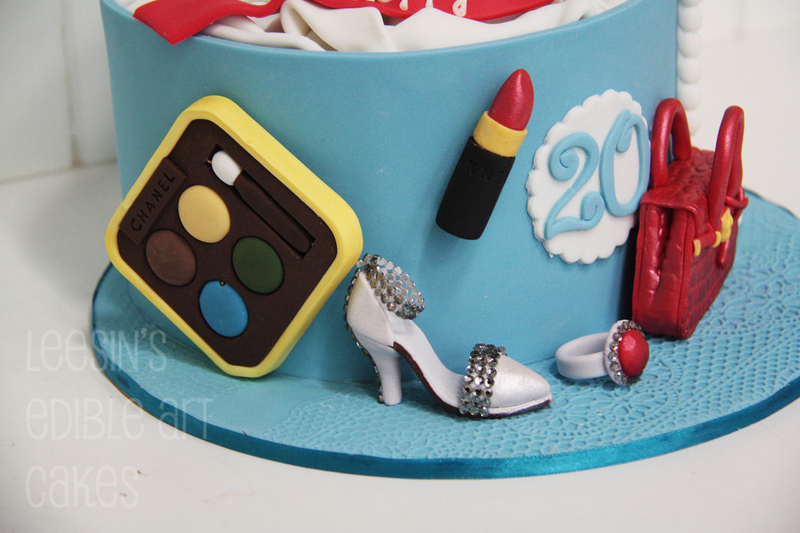 This is another cake where the customer drive up to Penang from Kuala Lumpur to collect! 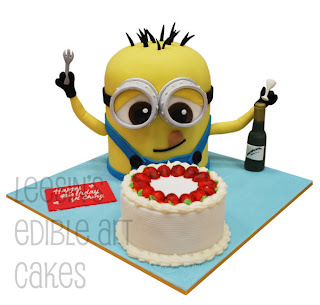 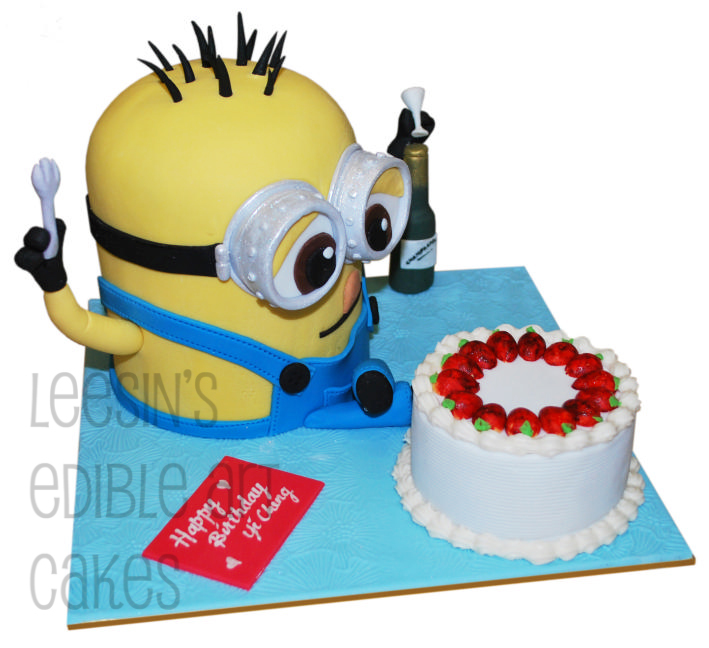 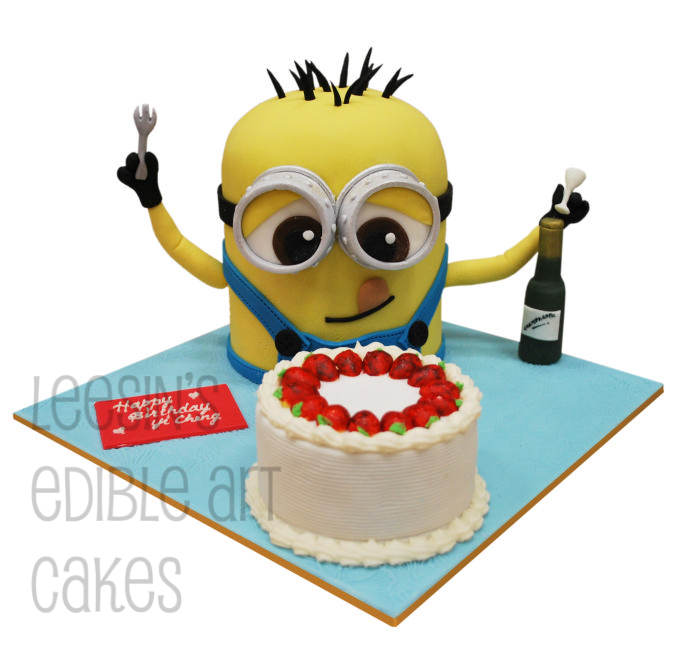 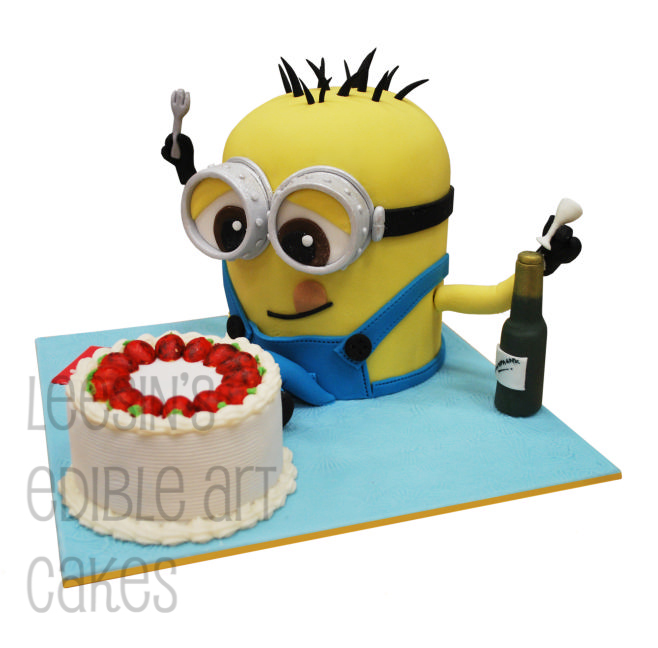 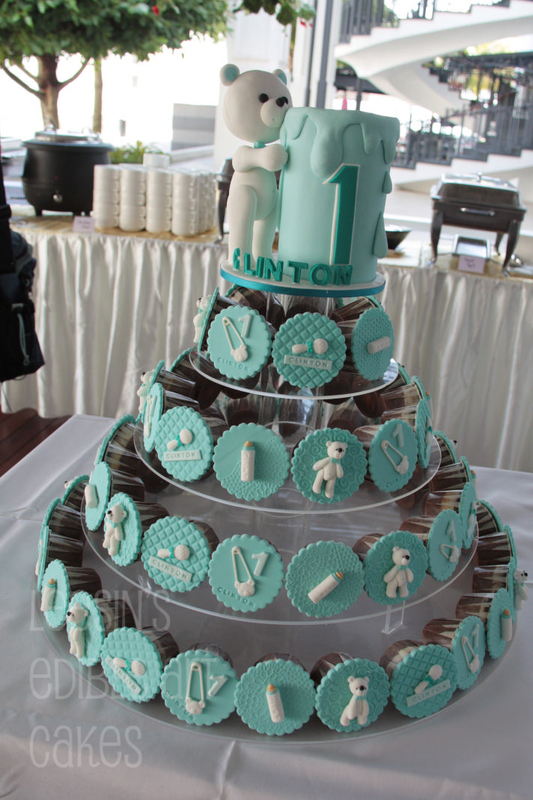 The cake in front of Minion is really a cake! Everything is edible. 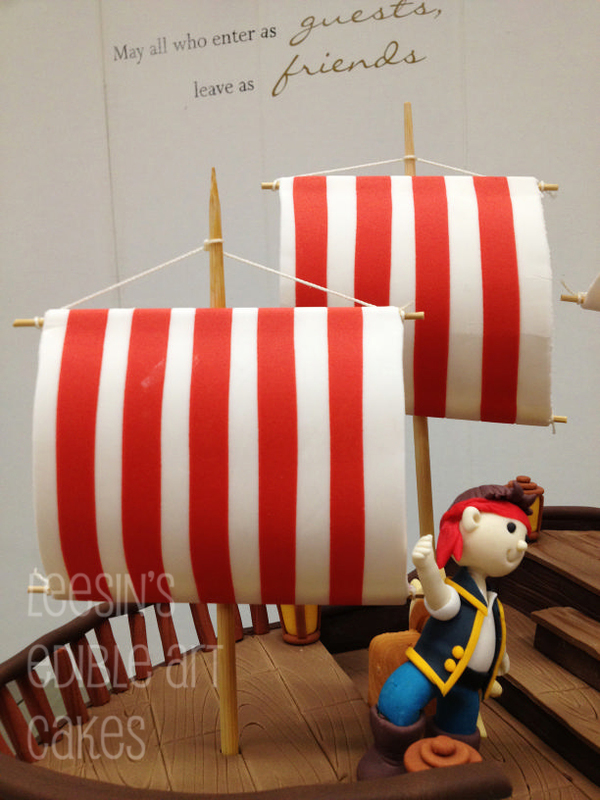 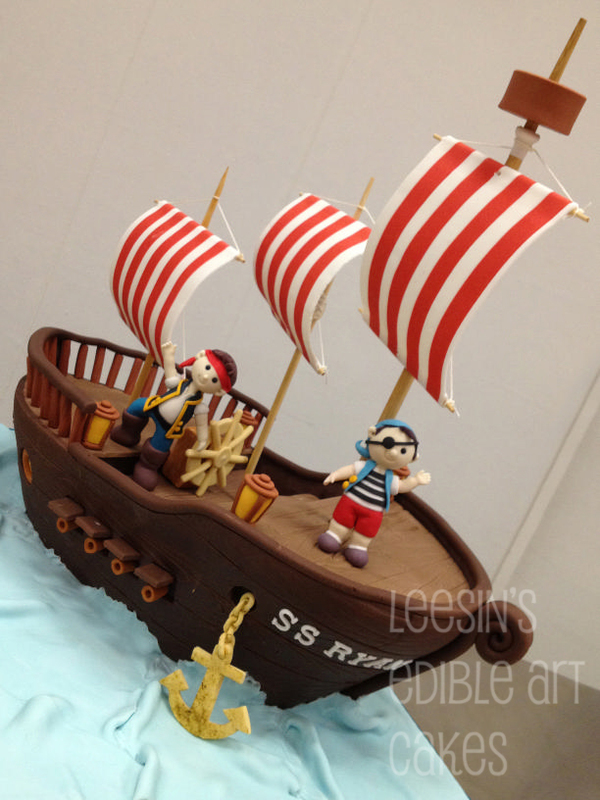 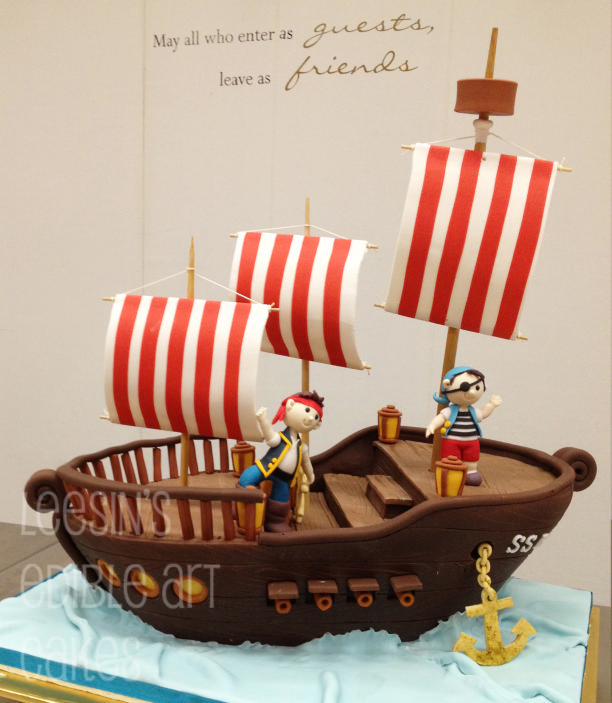 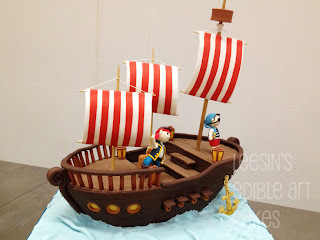 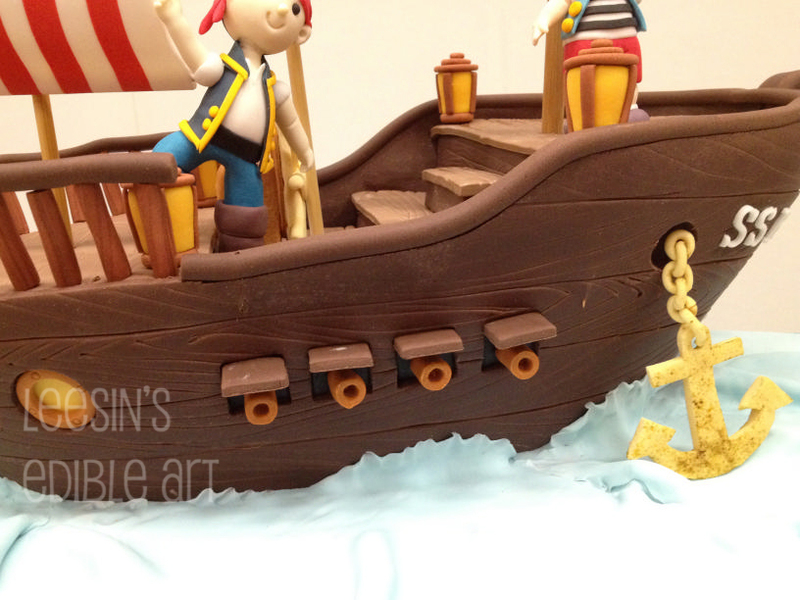 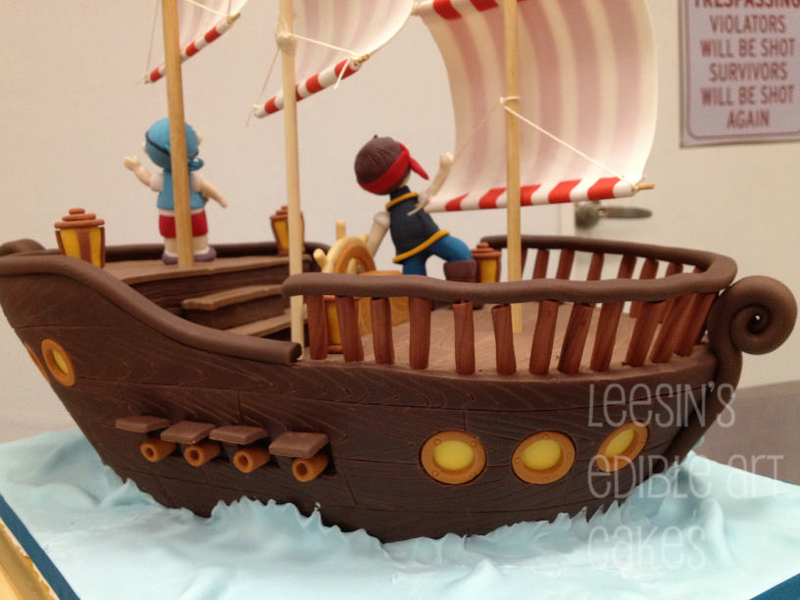 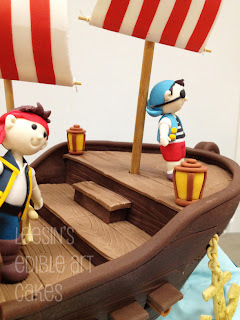 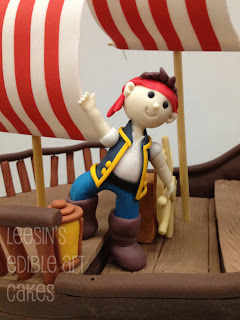 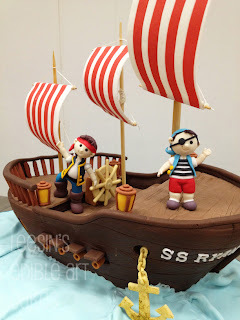 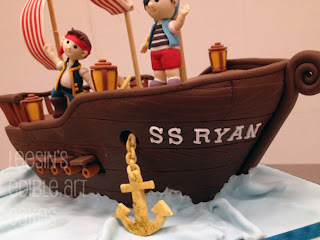 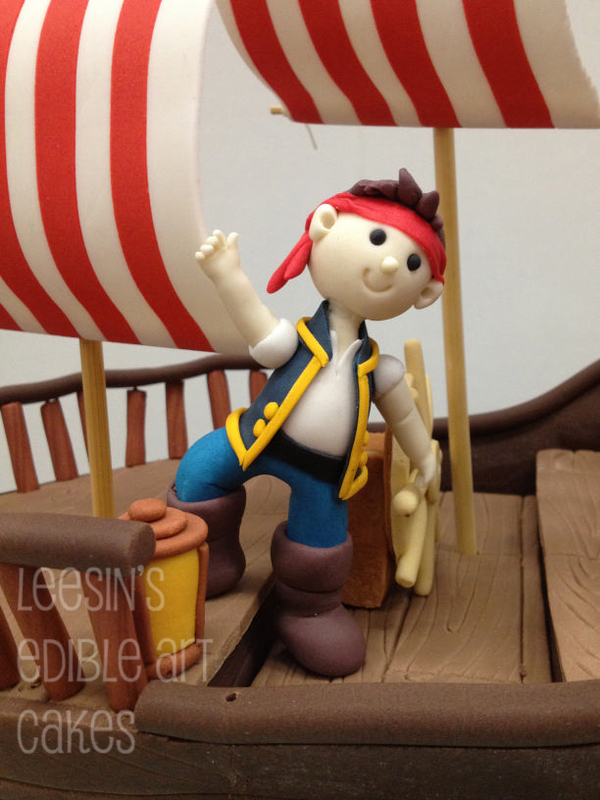 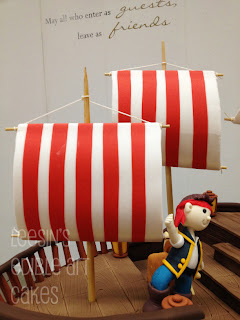 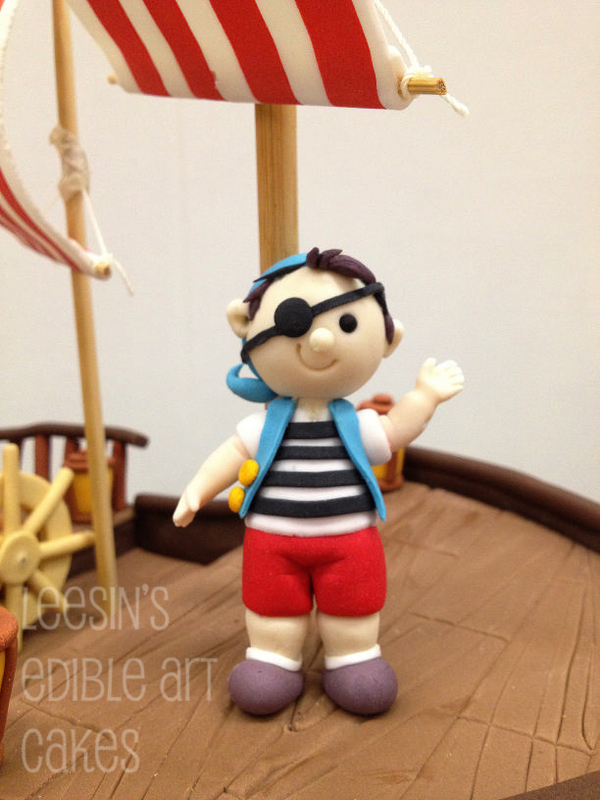 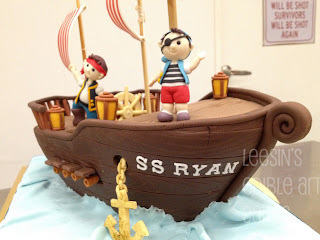 For my nephew Ryan who loves pirate ship since very little. 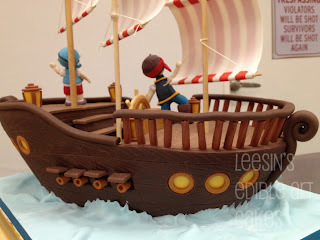 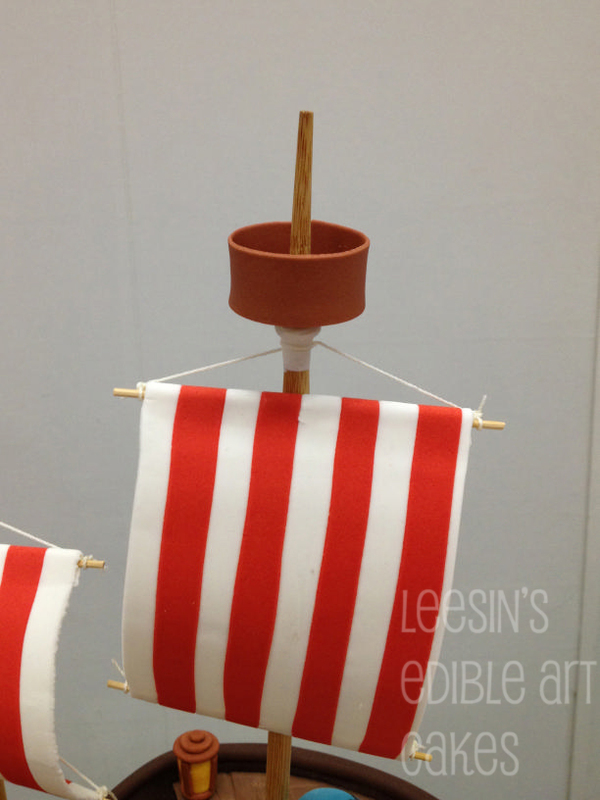 Everything is edible here except the 'poles' for the sails. 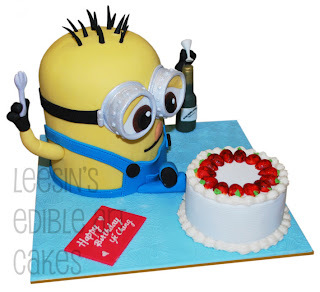 It is chocolate cake inside with lots of chocolate ganache.